When your mind is set on losing weight fast, you don’t want to take the slow route. You want to know how to lose weight fast. You want to create the body that you want. You want to lose weight as quickly as possible in a way that doesn’t send you into the hospital or make you think you’re participating in a double dog dare. Fat loss comes down to knowledge. I know that sound stupid but it’s true. Once you understand your body and how to lose weight it makes it easier to make informed decisions about your lifestyle. The problem is many people go around trying a million different things that all conflict with each other and when they don’t see the results that they want they think that it is impossible to lose weight. It’s quite possible to lose weight quickly if you take the right steps. What constitutes quick weight loss? 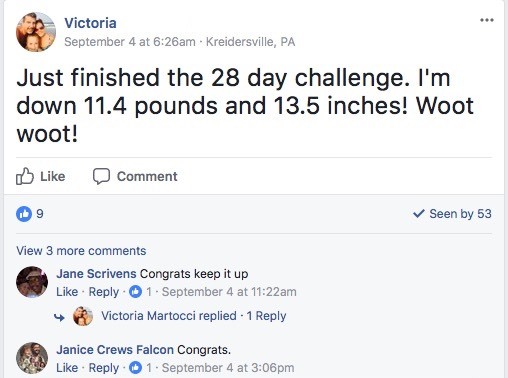 How about losing 10 lbs in 7 days? That sounds pretty awesome! Second, it’s definitely possible because one of the first things that you will learn to do is to stop sabotaging your body. You might’ve been told that you should lose weight slowly. The reason people tell you this is because they think that if you are losing weight quickly, you are doing so in a way that harms your body. Nothing in this post is harmful to you and nothing is voodoo. You won’t be told to take fat-burner bills that keep you up for the next 5 days. I took some once and I was wired for about 6 months. Okay, I have no idea what she is looking at and I don’t expect you to be using a scale that you only find that the doctor’s office, but that isn’t the point. When you don’t get results that can leave you frustrated and can kill your motivation completely. When you do get results you want to keep that momentum going. When you see results it is easier to stay motivated and stick with the new routine. When you don’t see results you ask yourself what is the point? 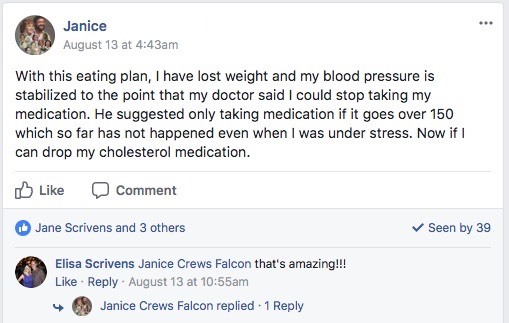 We aren’t talking about the extreme things that boxers and UFC fighters do with their bodies, but have you ever heard of someone dying from trying to lose weight quickly in a responsible way? However, how many people die from being overweight? You don’t have to look it up because I’ll tell you. There are over 300,000 obesity-related deaths a year just in the United States alone. It’s an epidemic. Thinking that losing weight quickly is a bad thing is a crazy thing to think. None of the methods that you’ll learn below will deprive your body of the nutrients that it needs so there is no fear in losing weight quickly. Now it’s time to answer the question how can I lose weight fast? Now, just because there are only 5 steps doesn’t mean this will be a breeze. In theory, all of this should be easy, but that’s how most people approach these things. These steps aren’t miracles but they do work if you apply yourself. Step 0 is understanding that this is all on you. Yeah, I included a Step 0 because it’s important. If you want to make it happen you can make it happen. Alright, now it’s time to answer the question how can I lose weight fast? That’s probably the big question that everyone is asking and the simple answer is by cutting sugar. I don’t want to say by cutting carbs because that can be a lot harder than no longer eating Blowpops. Carbs are what your body uses for energy (assuming you’re not a fat-burner on a low-carb diet like the keto diet). It does so by breaking down the carbs into glycogen which is an easy fuel source for your body to use. The problem with this is that if you don’t burn through the glycogen quickly enough your body will store it as fat. Sorry, I shouldn’t say “store it” because that makes it sound like it is going to pull it off the shelf later. Instead, your body puts it away like a savings bond hoping that it grows and becomes more valuable. Terrible analogy but we will run with it. Doing a carb detox will reduce your calorie intake and force your body to flush out any excess water weight. Don’t be surprised if this results in a 5-8 pound drop in weight during the first week. This is also why many people gain weight back so quickly after they eat a plate of spaghetti. Another plus to this, especially those prone to diabetes, is that it will help to reset your body’s insulin levels and become more sensitive to carbohydrates when you do bring them back into your diet. 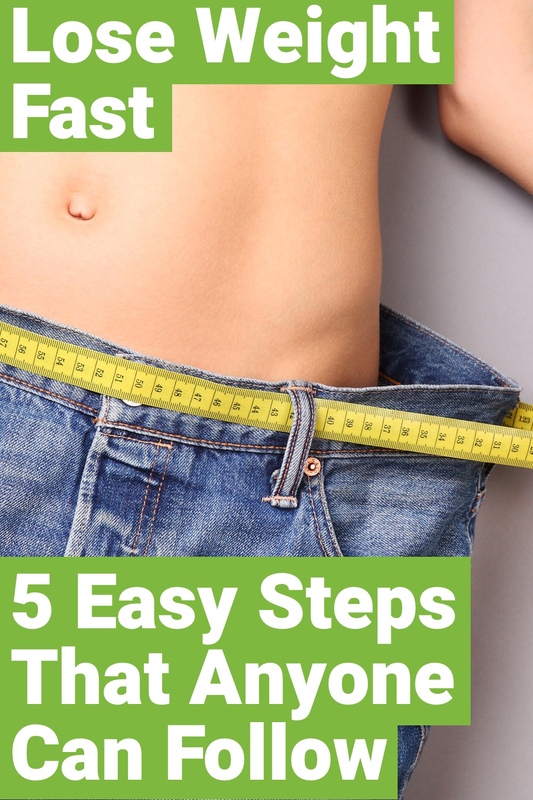 So yes, if you’re looking for the quickest way to lose weight then, unfortunately, that means the Krispy Kreme breakfast routine needs to go out the door. However, if dropping the number of carbs you take daily is a big ask (totally understandable), then just start with sugars. No more soda, treats or candy. Just taking that step will help you see a crazy amount of weight loss. If you want to know more about cutting sugars from your daily diet then check out How to quit your sugar addiction. One sneaky thing to watch out for carbs is that they do a great job of making you feel full when the reality is you’re hungry two hours later. We’ll talk about this more when we jump into proteins and healthy fats. In my 20s I didn’t really care about sleep. I would stay up late either working, gaming, or partying. I would catch up on sleep in the morning and then hit the routine again. Many people that are trying to drop weight fast fail to do so because they don’t get proper sleep. It makes sense because you don’t really associate sleep with losing weight, but it’s a really big deal. One of the worst things about getting a lack of sleep is that your willpower reserves start to drop. When your willpower is low that’s when you begin to make poor food decisions. It’s a slippery slope from thinking that one Oreo won’t hurt to finally eating the whole pizza on your own. Of course, telling someone to get more or better sleep is easier said than done. If you’re struggling then have you considered doing some yoga to help you sleep? Okay, so you’ve cut out the carbs and have an awesome game plan for getting a good night’s sleep, but you probably want to eat at some point. When you are doing your detox you want to consume a healthy amount of protein every chance you get. The reason why is because your body has to find a new energy source since you are depriving it of all of the sweet sugars you used to give it. Note: If you’re trying to get into ketosis then fats will become your energy source. Foods like organic chicken and eggs, beef, and salmon are a great source of protein. If you aren’t trying to chew food 16 hours a day then consider finding a good whey protein to add to the mix. The fun doesn’t stop there. You will want to cover these foods in high-quality fats. Not pig lard, but extra virgin olive oil and coconut oil. Although I’m a big proponent of the Keto diet it can be hard, initially, for people to get used to recipes that load up on the fats over proteins. That’s why here I’m suggesting that you turn to protein as your energy source to make things easier. For example, it’s easier to get a rotisserie chicken from the store and make meals from that then it is to figure out how to incorporate more cheese, heavy whipping cream, and avocado into the mix. You might be worried about cooking anything in healthy fats but don’t be fooled. Healthy fats can actually help you lose body fat. It sounds backwards but it is true. 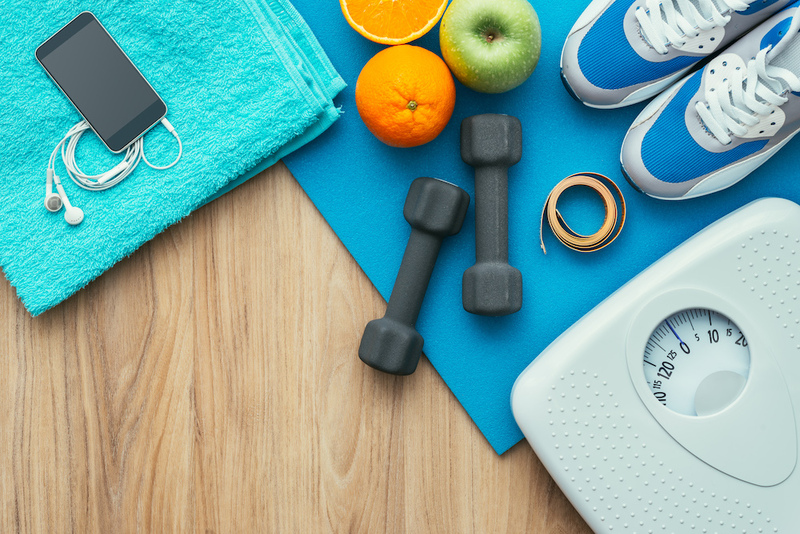 This is a tricky step because common sense tells you that you should be exercising while dieting and at some point, you should. It shouldn’t happen when you are going through your detox though because your body is adjusting and it’s pretty hard to convince your mind to eat differently and start a new workout routine. Because of the carb detox, you will already be losing weight so you want to keep that momentum going. Working out requires your body to burn through its energy sources and because your body is still adjusting that usually means that if you work out now that donut looks much more appealing later. However, once you’re done with your detox you can start to insert some exercise because you will start to eat some carbs again. The reason why you are taking this approach is that you want to prevent something called the down-regulation of metabolism. If you’re looking for ideas on exercises that you can do to help you lose weight check out these 29 fat-burning exercises. The fact of the matter is, no matter what you’re trying to do with your body, physical activity is always going to be a good idea. The most important muscle in your body is your heart and when you engage in physical activity, you help it out tremendously. Junk food rarely provides you with anything that you need. A huge mindset win for you will occur when you can stop thinking about just the taste of food and also start thinking about how it is going to make you feel later. If you aren’t seeing any results then it becomes time to count your calories. It’s pretty difficult to eat more than your daily calorie count, but it’s not impossible. The basis of weight loss is based around a simple formula and that is to burn more calories than you consume in a day. It sounds cliche, but the best way to lose weight fast is to stop eating things that will cause you to gain weight instead of losing it. Your body only needs a certain amount of calories every day to push through and if you eat things that give you a caloric surplus, then you’re going to be in trouble. The “best” way to lose weight fast is to…fast. Fasting can be a great way to lose weight because you’re causing your body to burn what it already contains to find its energy instead of fueling it constantly with external energy. Unfortunately, fasting isn’t for everybody. Thankfully, there are many different types of fasting that you can try out and find one that works best for you. Besides weight loss, fasting has a number of other awesome benefits and you can find those in the benefits of fasting article. Intermittent fasting has really caught on and has shown to do wonderful things to your body like lower blood pressure and increase the rate you are burning fat. Going on any type of calorie restricted diet plan will help you lose weight but that doesn’t mean it will be enjoyable. The whole key wor weight loss and keeping it off is enjoyment so please enjoy your food. Enjoyed How to Lose Weight Quickly: 5 Steps to Losing Weight Fast? Share it with your friends so they to can follow the Thrive/Strive journey.